Looking for an ideal option for ironing all your clothes? 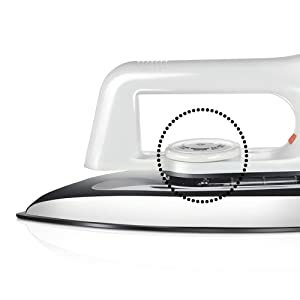 Then buy the Bajaj Popular Plus 750-Watt Light Weight Dry Iron online from Amazon India. This portable dry iron makes your ironing job quite easy. 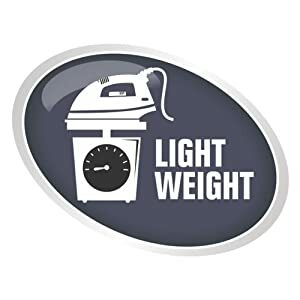 It is extremely lightweight and therefore, very handy to use. So you can carry it along with you, whenever you need. 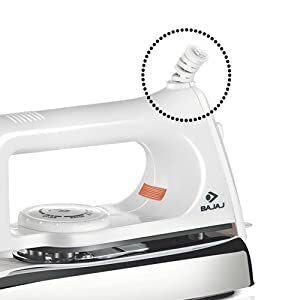 This electric iron is ideal for nearly every type of fabric, be it the tough ones like denim and cotton or the delicate ones like silk and chiffon. 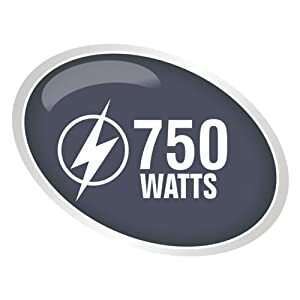 Non-Stick Coated Sole PlateThe Bajaj Popular Plus 750-Watt Light Weight Dry Iron consumes only 750 watt power. You can adjust the temperature according to the type of the fabric that you are going to iron with this appliance and you are good to go. Like, you can iron the heavy duty fabrics like denim at a higher temperature and delicate fabrics like silk or wool can be ironed at a lower temperature. The iron has a non-stick coated sole plate which ensures that the fabric doesn’t stick to the iron sole-plate, making it safe to use. Irons Out Stubborn WrinklesMake your clothes look crisper and free of wrinkles with the Bajaj Popular Plus 750-Watt Light Weight Dry Iron. 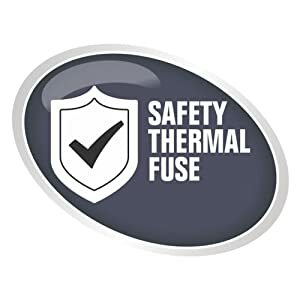 This dry iron comes with a thermal fuse, which is an electrical safety device which interrupts the flow of electricity to prevent overheating, thus, stopping the iron from getting damaged due to overheating. 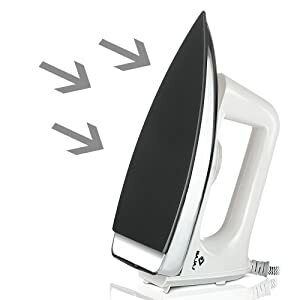 And to further enhance the usability of the product, this iron comes with pilot light and swivel cord outlet.